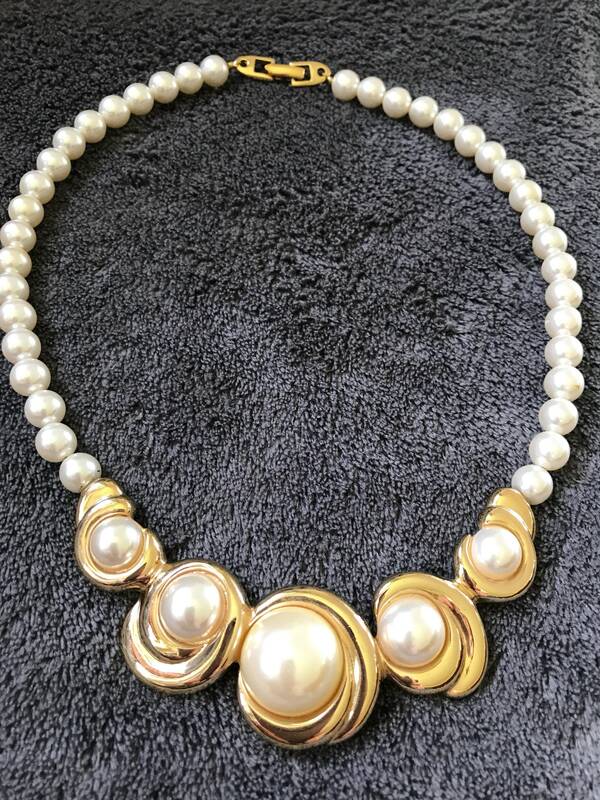 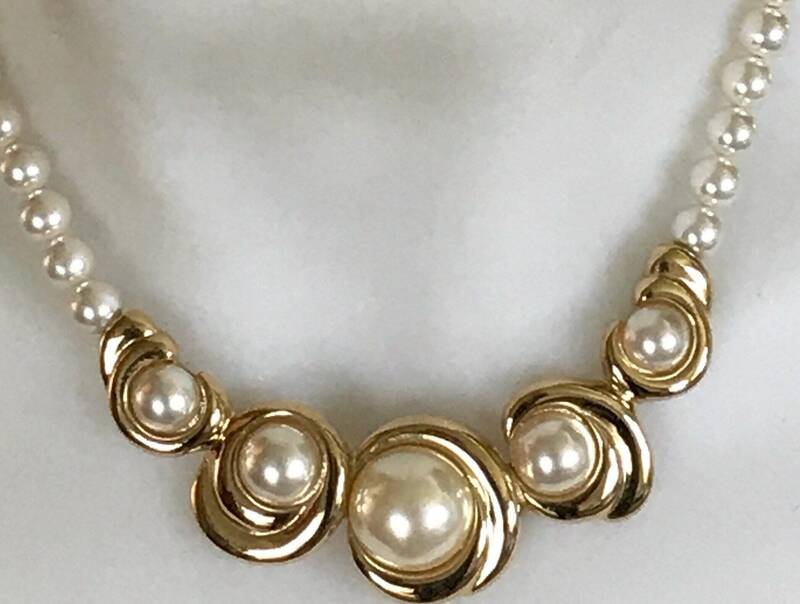 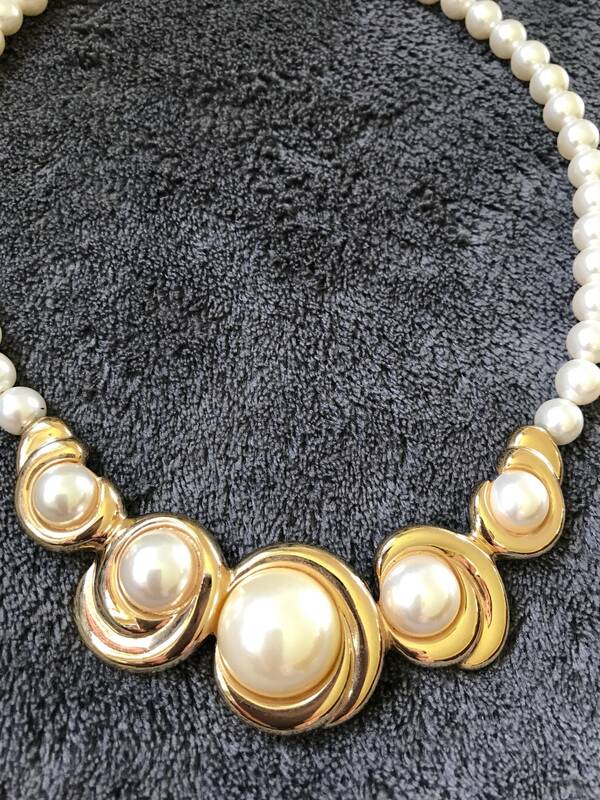 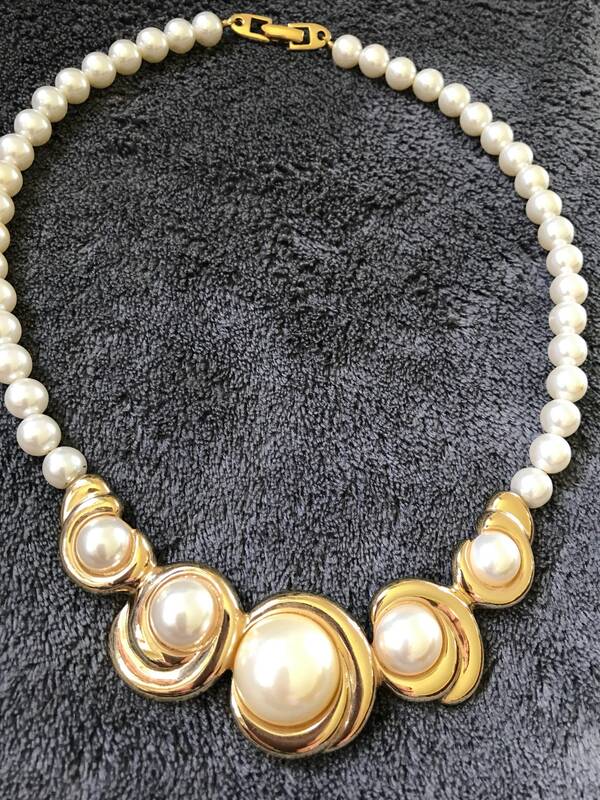 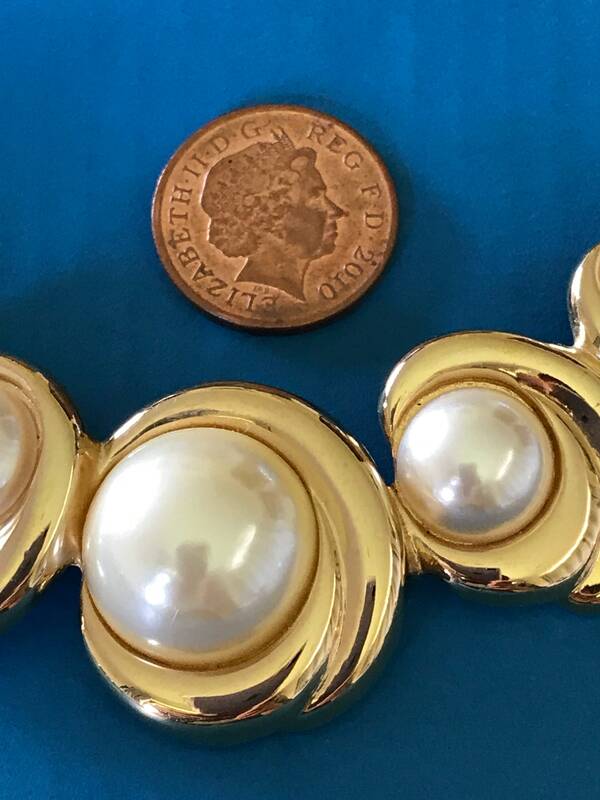 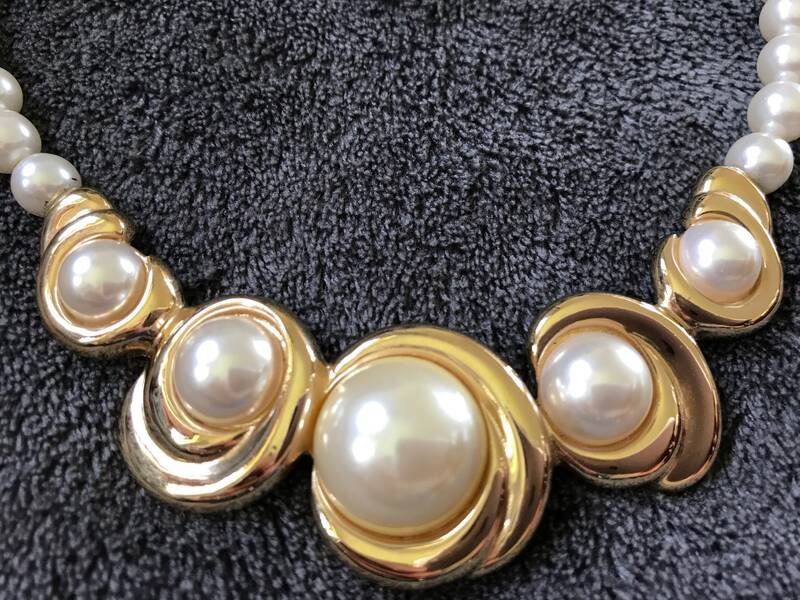 Here is a beautiful faux pearl and gold tone necklace. 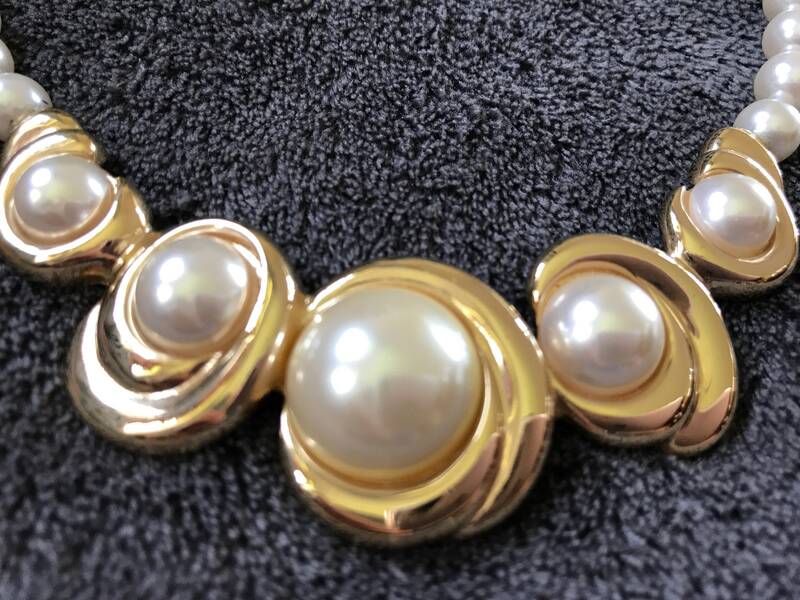 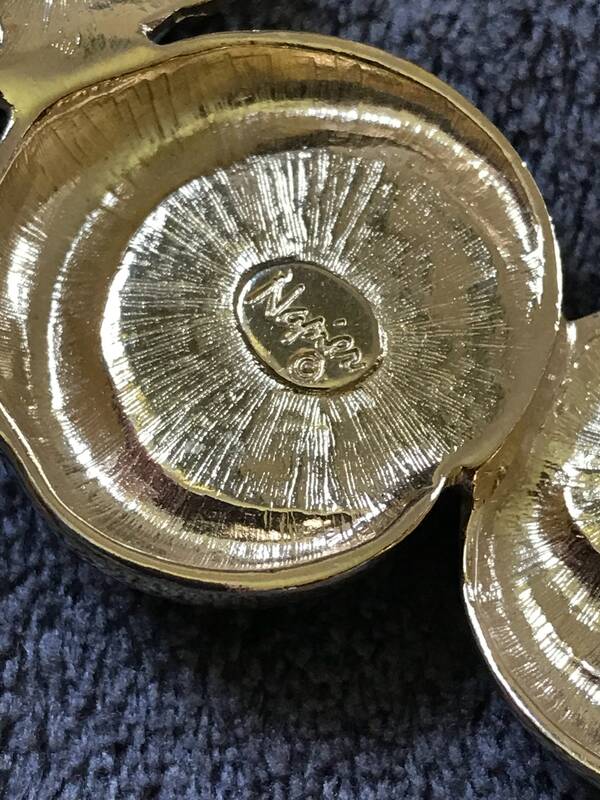 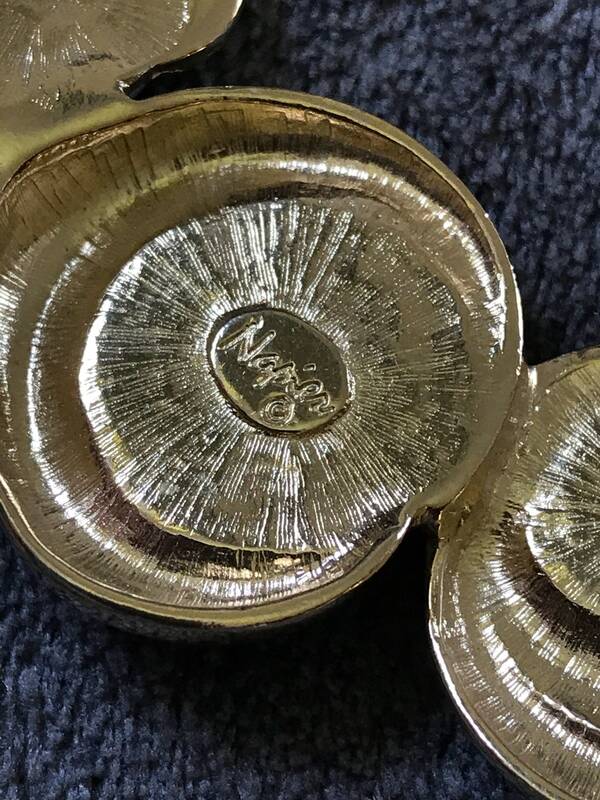 It features faux pearls on a heavy gold plated panel with four pearl cabochon center pieces. 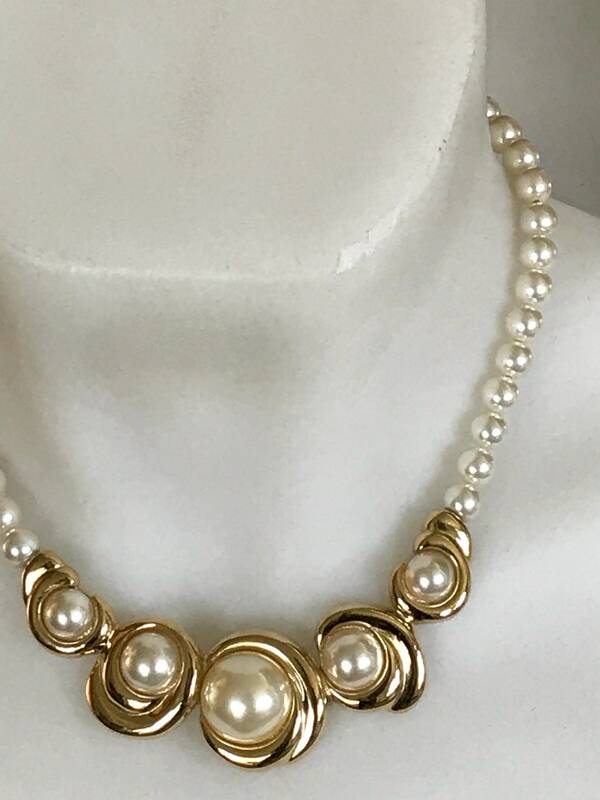 It measures approximately 16 inches length.This necklace remains in excellent condition with no damage.